cats and other critters, often bigger than himself! 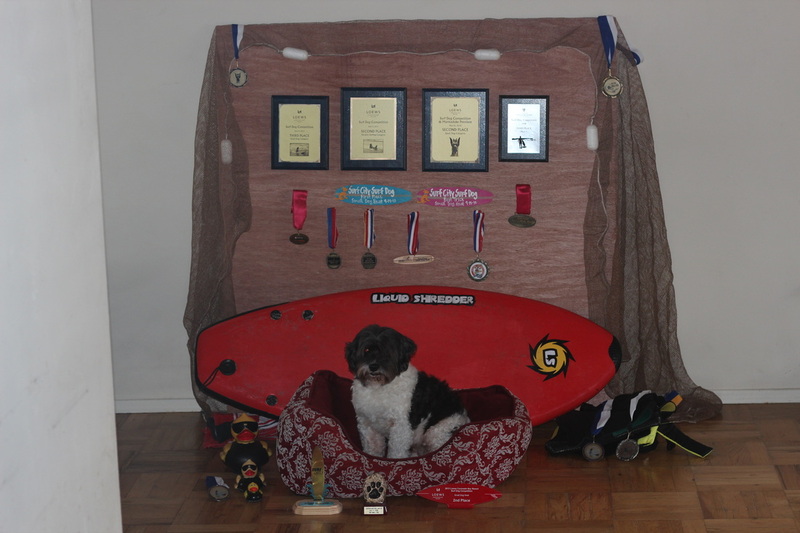 Pet Peeves: He hates interruptions while sleeping on "his" queen size bed. 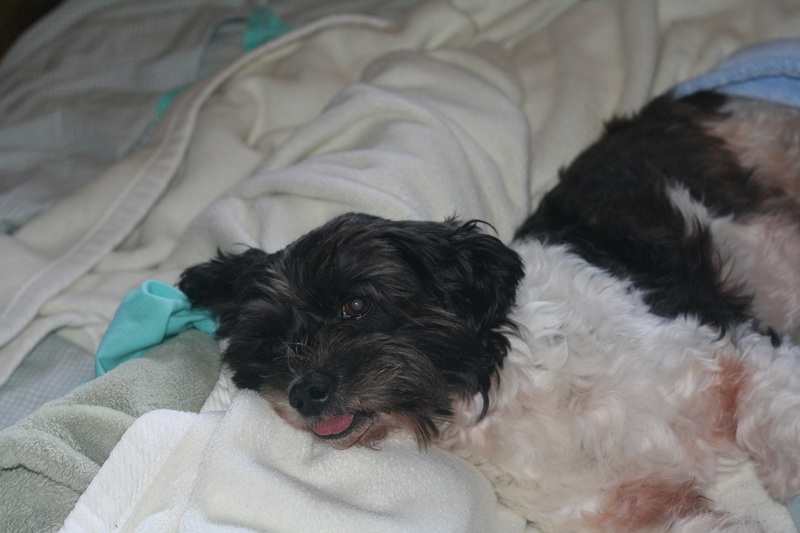 Favorite Food: Toby will chew a Lamb Chop down to a nub! Toby was found as a scruffy stray running around the streets of San Diego. 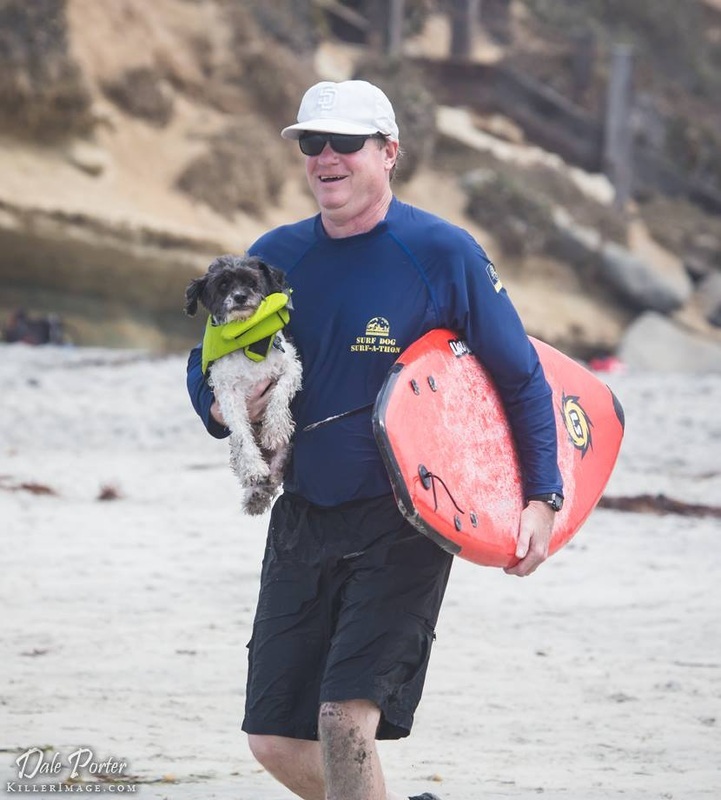 He was rescued from the San Diego shelter, and after some　tender care, is a great dog! 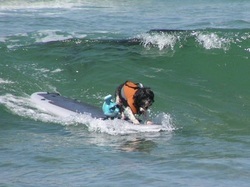 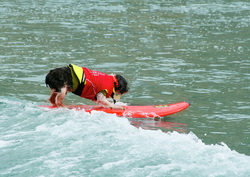 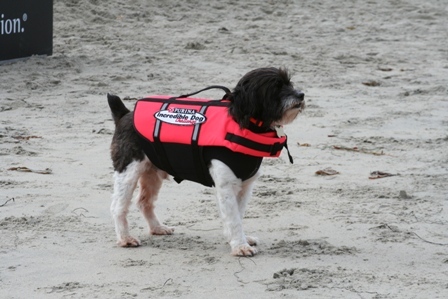 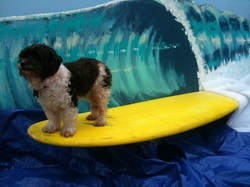 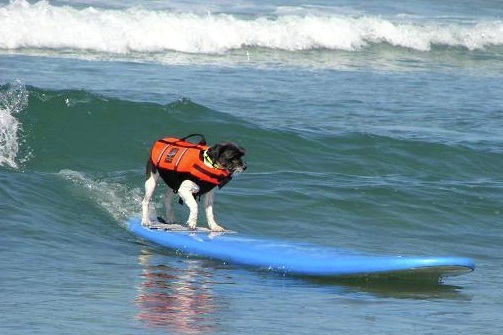 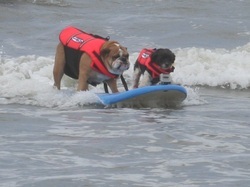 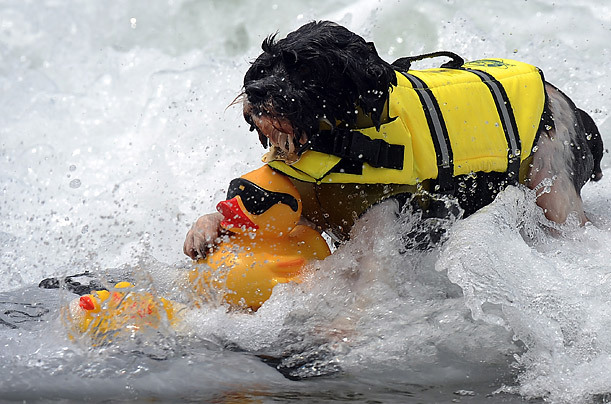 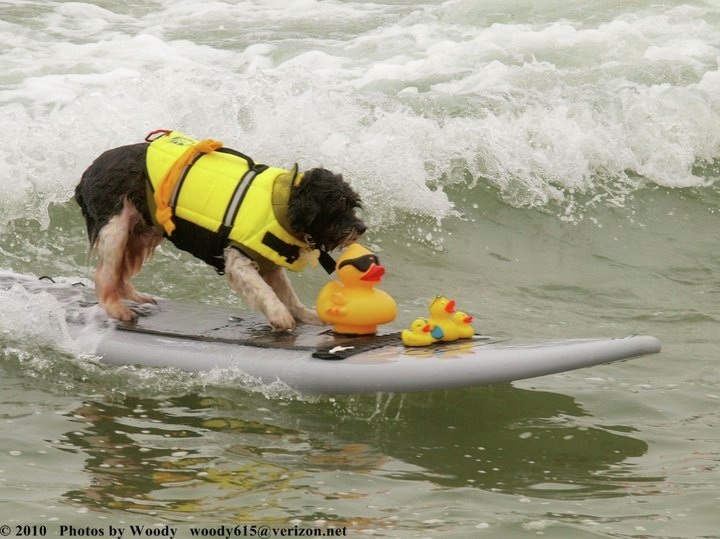 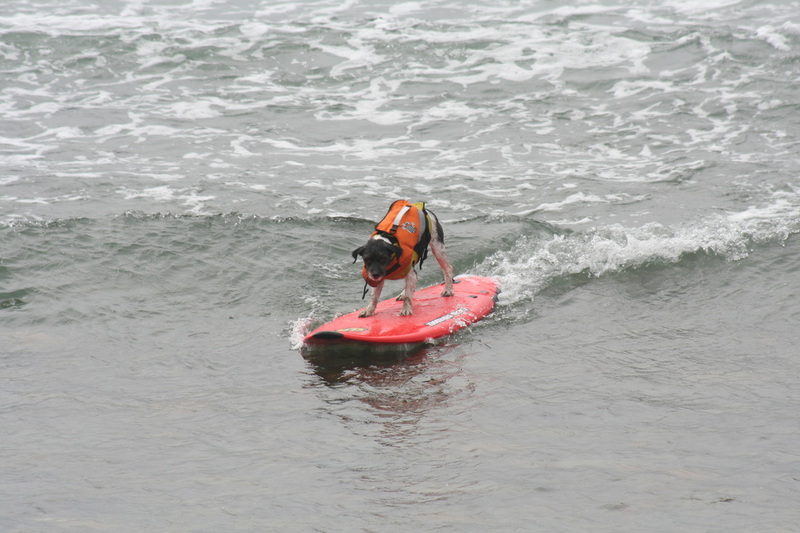 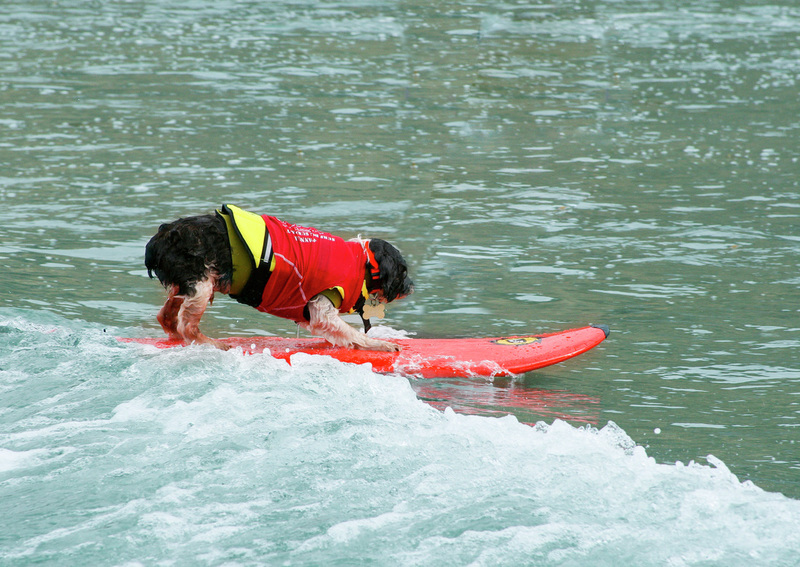 Weighing only 16 pounds, he began surfing and competing in 2007 in small dog category and also rides with other dogs. 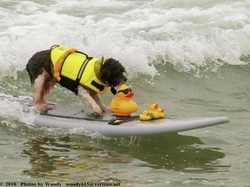 He also surfs with his rubber ducky friends. 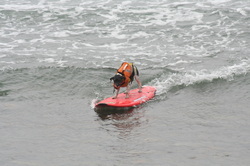 He rides boards as short as 4 ft as well as 8 ft boards. 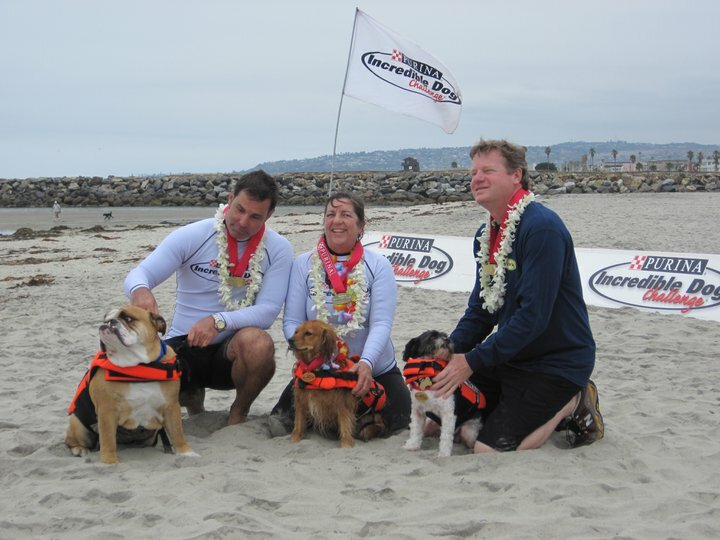 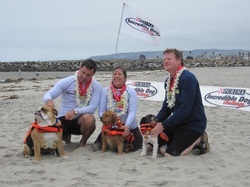 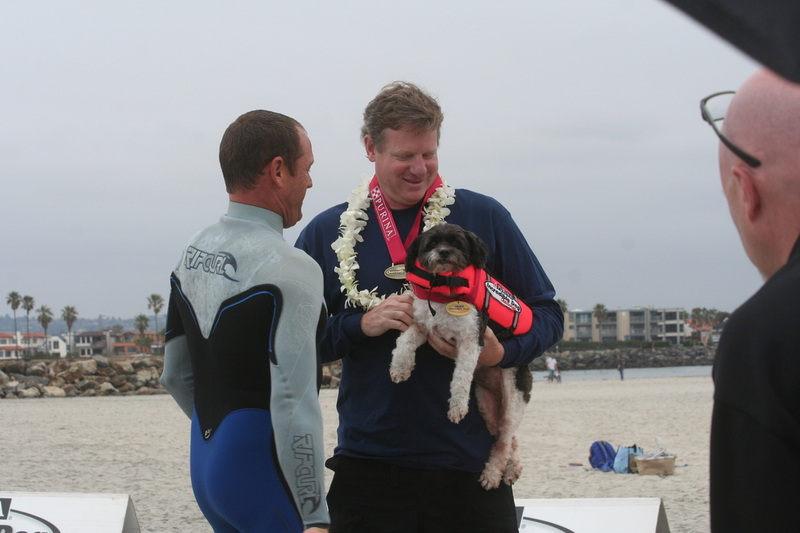 Along with So Cal Surf Dogs Team mates Nani, Ricochet and Dozer, Toby won the Billboard contest for the 2011 Helen Woodward Surf Dog Surf-A-Thon!. 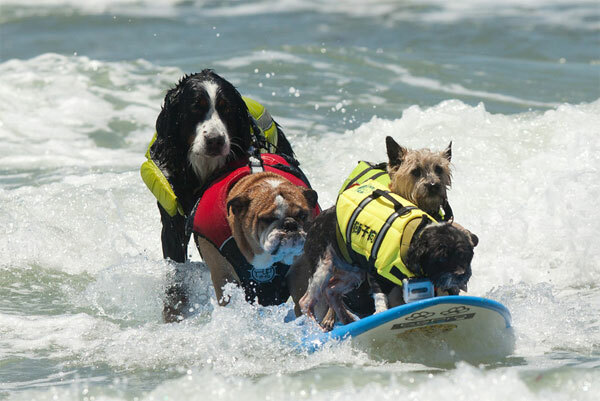 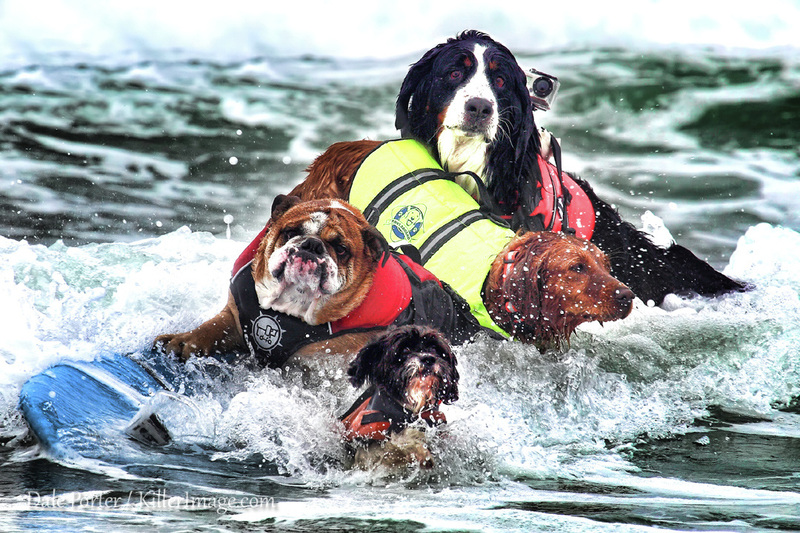 Toby and his SoCal Surf Dog Buddies Nani, Dozer and Ricochet were featured on the PR Newswire Big Screen in Times Square New York and Las Vegas!